Just received my copy of this new anthology of Appropriation Literature, edited by Annette Gilbert and published by Luxbooks in Wiesbaden. The anthology includes illustrated samples from 126 works by 90 authors, with a bilingual commentary in German and English. It includes some pages from my English in Mallarmé pdf from ubu.com. A print edition of English in Mallarmé is due soon from Blart Books in London. This entry was posted in Uncategorized and tagged anthologies, mallarmé on 30/10/2014 by Peter Manson. 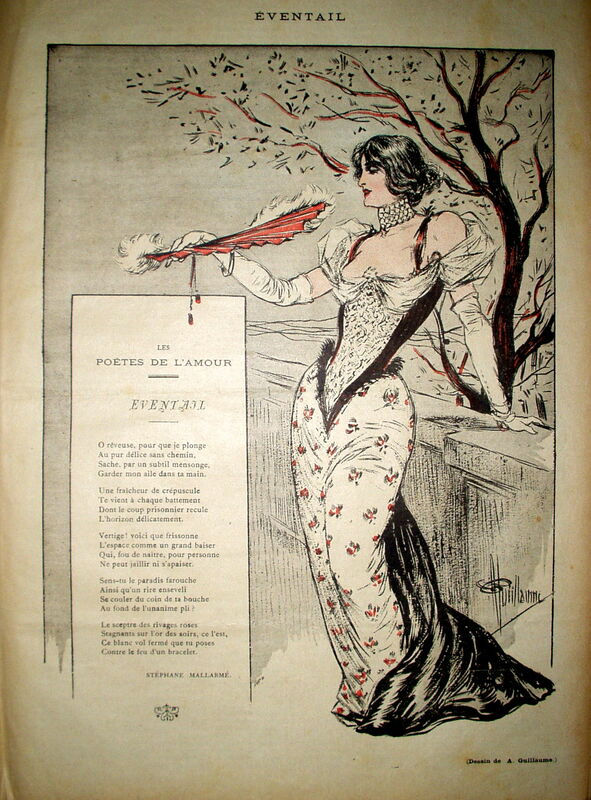 Albert Guillaume’s wonderful Siouxsie Sioux-alike illustration for Mallarmé’s poem Éventail, from the Gil Blas illustré of 4 juin 1892. This entry was posted in visuals and tagged albert guillaume, illustrations, mallarmé, visuals on 29/10/2014 by Peter Manson. 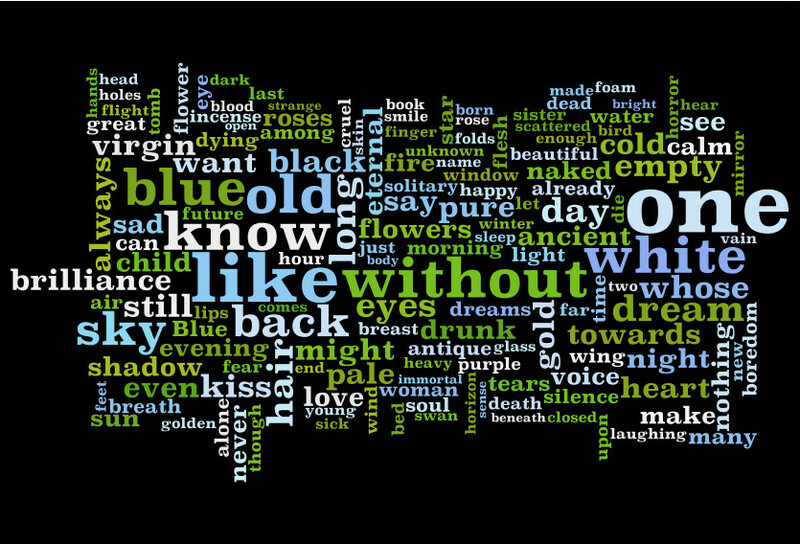 Mallarmé in English by Wordle. This entry was posted in visuals and tagged mallarmé on 12/10/2014 by Peter Manson. £15 inc. p&p rest of the world, including the USA, Canada and Australia. For ordering information and a sample poem, visit the Sancho Panza website. Thanks to Sara Crangle, Sam Ladkin and Andrea Evangelista. This entry was posted in books, Uncategorized and tagged books on 10/10/2014 by Peter Manson. Thursday 9th October 2014 @ The Scottish Poetry Library, 5 Crichton’s Close, Canongate, Edinburgh EH8 8DT – 6:30pm. Book tickets with the SPL on Eventbrite. Friday 17th October 2014 @ The Gilchrist Postgraduate Club, University of Glasgow (in main building, through main gate on University Avenue) — 8:00pm. Free entry — all welcome. This entry was posted in Uncategorized and tagged readings on 03/10/2014 by Peter Manson.